If your roof is showing signs of wear, then it might be time for a roof restoration. Roof restorations are a great way to improve the longevity of your roof, and give your entire home a facelift. 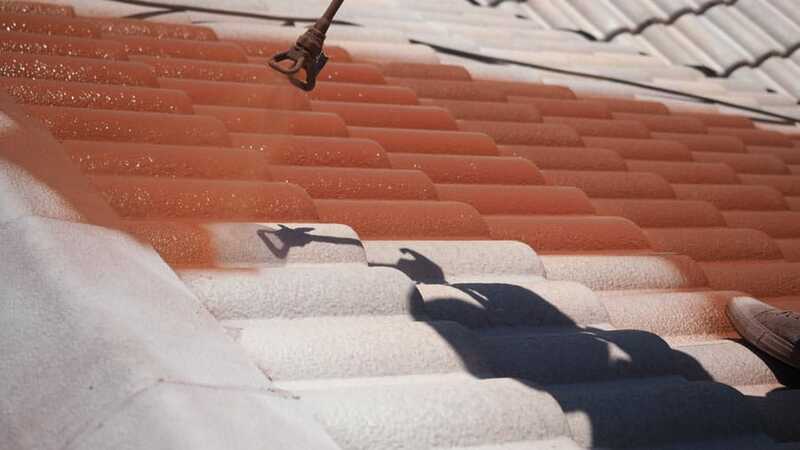 At Strongguard, we are experts in roof restorations, with a wide range of services on offer. We can address any issues with your roof, from routine maintenance, to complete overhauls. We source all of our materials from the industry’s most reputable brands. As a result, a roof restoration from Strongguard will not just restore your roof – it will improve it. We maintain very high standards and our job is not complete until your roof is restored to our standards. Strongguard has been in operation for over twenty years, which means that we know exactly what your roof needs. Roof restoration is a dynamic process and it varies in nature, depending on the condition of your roof. Here at Strongguard, we take a problem solving approach to roof restoration. We take each of our restoration projects on their merit. This means that you get service tailored to suit your specific needs. Sunshine Coast roof restoration projects usually involve repairs, preparation and repainting. This process is widely applicable and it is a great way to identify leaks and weaknesses in your roof. By identifying faults in the early stages of our restoration project, we can take action to fix them. We can repair and restore any issue on your roof, from broken tiles, to cracked ridge capping. Our aim is to bring your roof back to life, with hardwearing repairs and leading edge products. During our time in the industry – which has spanned twenty years – we have identified the best products on the market. Here at Strongguard, we have developed a step-by- step process to ensure the upmost in quality control. 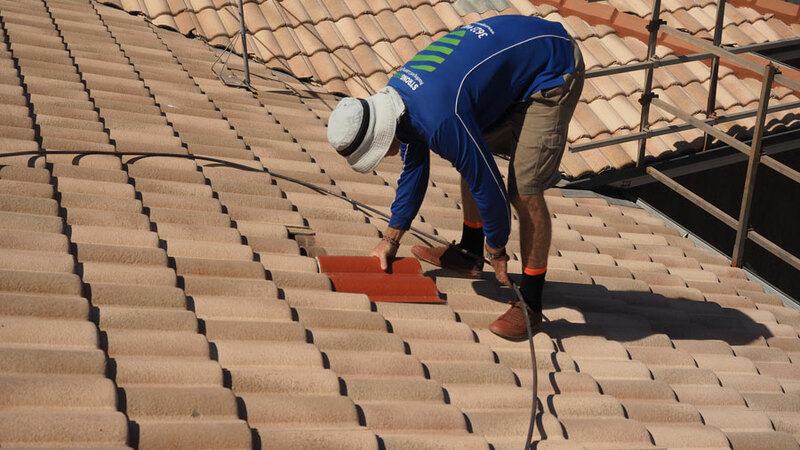 We complete every step of our roof restoration projects with great attention to detail and careful planning. Our aim is consistent quality and we believe that we deliver this with every job we complete. Before we can begin working on the appearance of your roof, we must fix any existing damage. Usually, this involves fixing things such as tiles, capping, valleys, pointing and bedding. Repairing these features is important, as it ensures that the foundations of your roof are in the right condition before the paint goes on. When we repair your roof, we only use the finest quality replacement materials. We have worked in the roofing industry for a long time, so you can rest assured that we know where to source the best materials. Once your roof is in good condition, we can begin cleaning it. Cleaning your roof is a vital stage of our process, as it allows us to create a smooth surface for the paint. Mould, mildew and grime often develop on the surface of your roof, so removing it is a must. We clean your roof using a high pressure cleaner, which produces water pressures of 3000psi minimum. As you would imagine, this cuts through any built up residue with ease. The result of this is a clean roof, with a smooth surface for the paint. The final stage of our roof restoration process is painting. First, however, we apply a mould treatment to the roof. This inhibits mould and mildew from growing on your roof after we clean it. Once the treatment has been applied, we can apply the primer. This coat provides a good substrate for the paint, which essentially means that it will bond better. Finally we apply two coats of roof membrane, which will give your roof a better-than-new finish. If your roof hasn’t seen some attention in a few years, you might want to contact Strongguard. We can help with all your roofing requirements, whether it involves roof maintenance or a complete restoration. You can reach us over the phone, or you can fill out an online contact form and we will get back to you. Our team is ready to help, so contact us today. 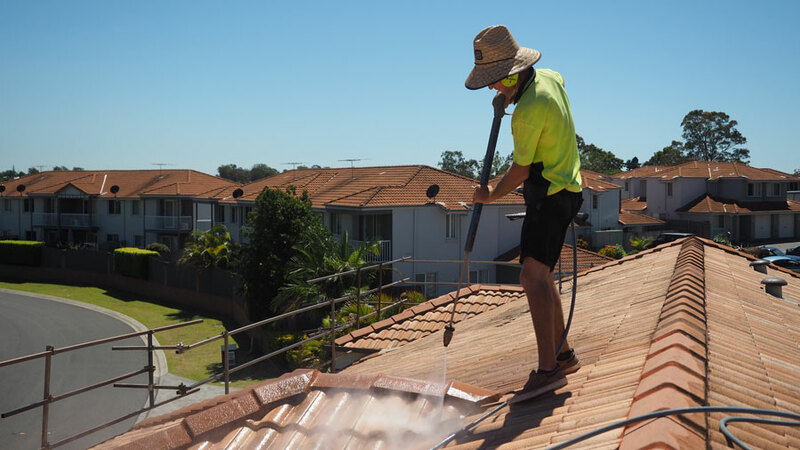 #1 How much does a Sunshine Coast roof restoration from Strongguard cost? The exact cost of your roof restoration depends on a number of things. Firstly, the size of your roof plays a considerable role in the cost of the restoration project. Secondly, the condition of your roof has a large effect on the price. If your roof requires extensive repairs before painting, then the cost of replacement materials might increase the overall price. Generally speaking, a Sunshine Coast roof restoration will cost between $3,500 and $6,000. Within this price range, you can get a complete restoration for your roof. This includes complete repairs to bring your roof to the highest possible standard of durability. Furthermore, you get a choice of colours, so you can take the opportunity to redesign your home and give it a bit of a facelift. #2 How long will a roof restoration take with Strongguard? The team here at Strongguard comprises some of the industry’s most proficient roofing specialists. With over twenty years of experience, we know precisely what goes into a roof restoration. As a result, we approach each one in a targeted manner, using our time-tested restoration process. This means that with Strongguard, you get unrivalled efficiency and subsequently short project timelines. Usually, we finish roof repairs and restorations in two to four days. Of course, the amount of time taken exactly does depend on a few external factors. The most notable of these is the size of your roof. If you have a large roof, then it is possible that your restoration project might take a little longer. For your convenience, we have professional estimators who can provide you both a quote, and some idea of what your restoration will involve. If you would like to know more about how long your roof restoration will take, then get in touch with us today. #3 How long does one of your roof restorations last? When we restore or repair your roof, we do so using the highest quality products. In addition to this, we operate with strict quality control guidelines, in accordance with a tested process. The result of all this is unrivalled quality and durability, with lasting protection against the elements. Consequently, your roof will be in peak condition once it is restored. In fact, we strive to restore all roofs to an even higher standard than they were when new. This means that your roof will last for many years to come. We anticipate that your newly restored roof will last for between ten and fifteen years before more repair work is necessary. We are so confident of this, that we offer a ten-year warranty on all our roof repairs and restorations. This warranty covers both workmanship and roof membrane. 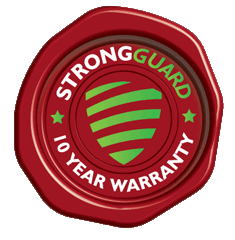 With Strongguard, you can rest assured that both your roof and your investment are covered for a decade to come. #4 Will you clean up after the restoration is complete? Here at Strongguard, we value our clients above all else. This means that we deliver not only quality roofing solutions, but also great service. We aim to work with our clients to minimise any inconvenience or disruption. As a part of this, we insist on maintaining a clean worksite, and leaving no mess behind. That means that when we leave your house after the restoration is complete, we will ensure that all rubbish is taken care of. It is not uncommon for some rubbish to be present during the process, as we replace all broken fittings on your roof. You can rest assured, however, in the knowledge that we will dispose of all this responsibly. #5 How can I get a quote from Strongguard? Here at Strongguard, we have a dedicated team of estimators to provide you with quotes and advice. To get a quote, simply contact us and provide us with a few details about your position. We can then arrange for an estimator to visit you and perform a site measurement. Following this, we can write up a quote and send it to you. With the exception of some insurance based or commercial jobs, we do not charge for this process. So if you want to explore your options or get your roof restoration into action, get in touch with us today.